Walker's Game Ear HD Pro Elite allows you to increase your natural hearing g by delivering distortion-free sounds with less circuit noise. Its Sound-Activated Compression circuit coupled with its outstanding noise reduction rating (NRR) of 29db protects your hearing from muzzleblasts. A water-repelling Nano coating protects the entire earpiece from liquids without affecting functionality. Walker&apos;s Game Ear HD Pro Elite allows you to increase your natural hearing g by delivering distortion-free sounds with less circuit noise. 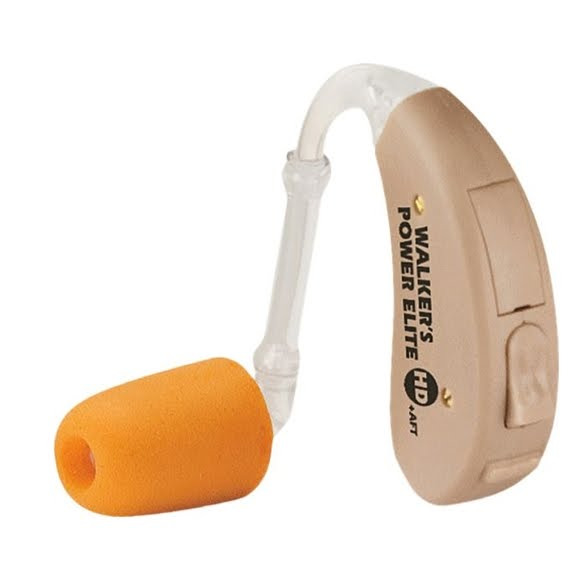 Its Sound-Activated Compression circuit coupled with its outstanding noise reduction rating (NRR) of 29db protects your hearing from muzzleblasts. A water-repelling Nano coating protects the entire earpiece from liquids without affecting functionality.